When I cook mushrooms in my kitchen, they never stay on the cooker for long. I can only eat them under one condition, they must have some bite! I can’t stand mushrooms when they’re soft and soggy, I’m really picky with this. Sometimes it’s seconds that make or break it and here, that’s the case! Luckily, that wasn’t an issue for today’s sandwich. 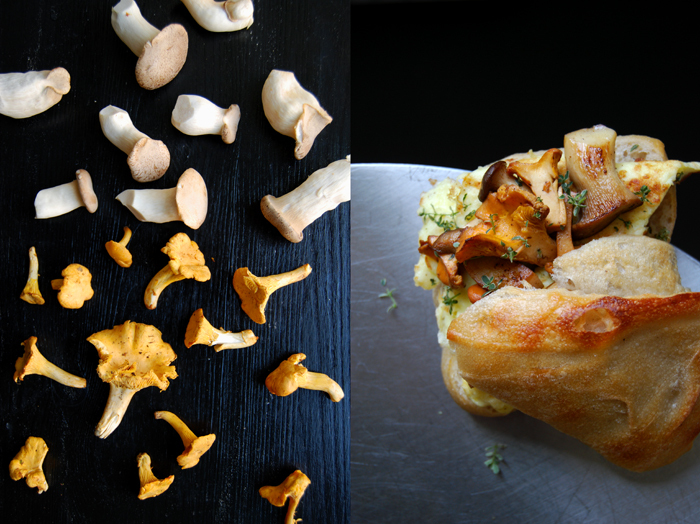 I got a handful of golden chanterelle and king trumpet mushrooms from the market, they looked fresh and crisp with strong ridges. They were an alternative as I couldn’t find good quality porcini but I didn’t regret it. 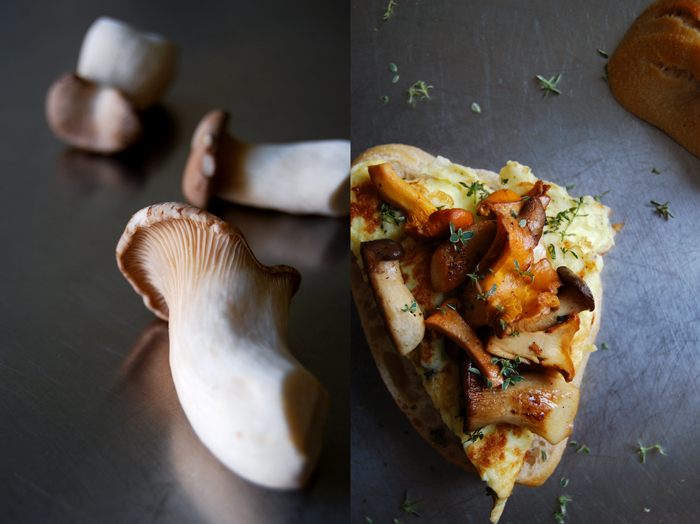 I sautéed the two kinds of mushrooms separately and quickly, cut in half in a spoonful of butter. 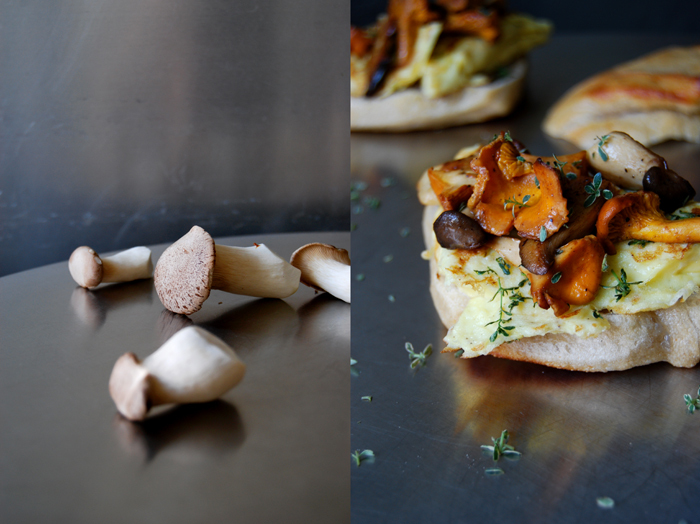 They tasted just as strong and earthy as a nice porcini and went extremely well with the omelette, the second addition to my sandwich which is just as delicate when it comes to the cooking time. I whipped the eggs with cream to achieve a nice light fluffiness and browned them lightly in butter while I folded the mixture into an airy omelette mixed with fresh thyme. 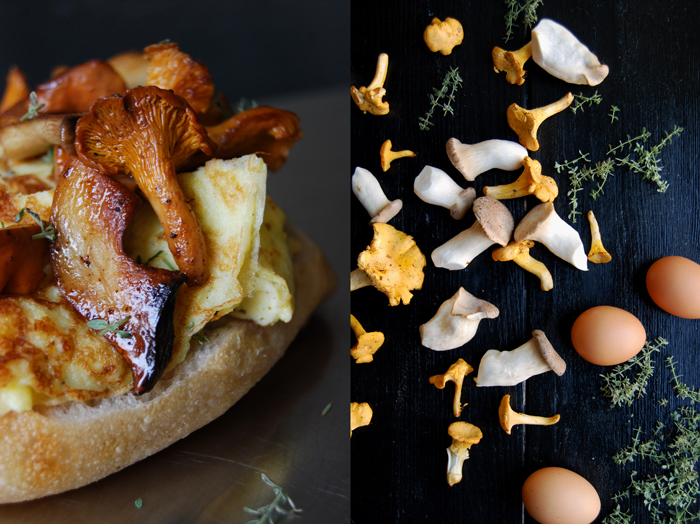 After the past few weeks and the rather luscious sandwiches with crayfish and beetroot, caramelized plums and sausage and lamb filet with lemon and capers, I needed a simple and clean autumn version, just eggs, mushrooms and thyme! 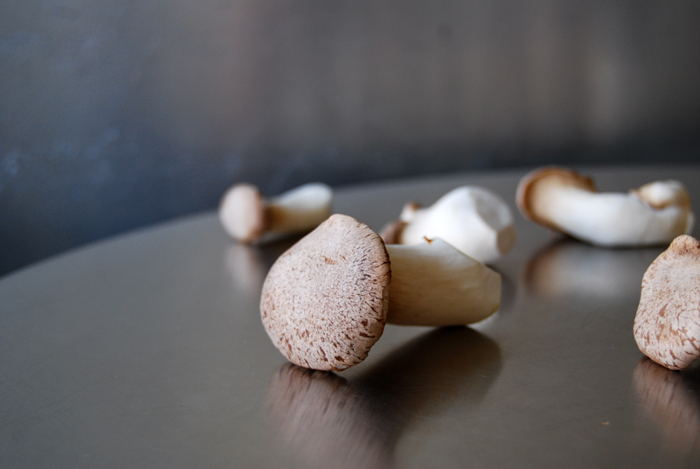 If you have different kinds of mushrooms, cook them separately. In a large pan, heat 2 tablespoons of butter and sauté the mushrooms for about 2 minutes on medium-high heat until golden brown on both sides (al dente). Season with salt and pepper to taste. Whisk the eggs and cream with a pinch of salt, pepper and the thyme. 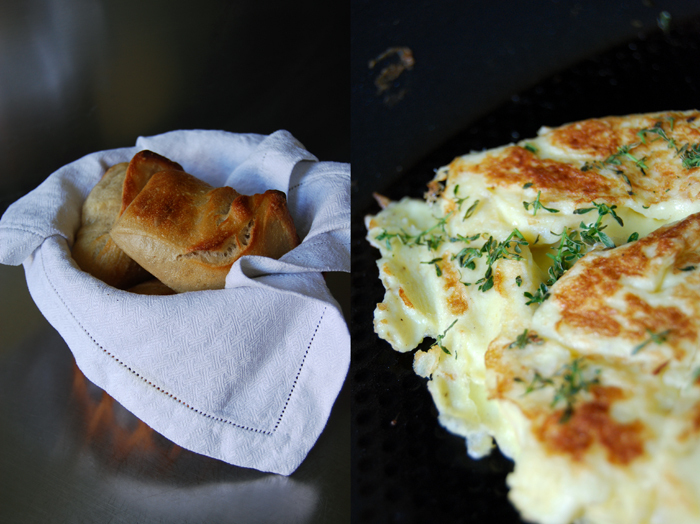 In a non-stick pan, heat a tablespoon of butter and pour in the egg mixture, scramble lightly and fold onto itself. When the bottom side starts to become golden flip it around. Brown it lightly from the other side for about a minute . Cut the omelette into 3 or 4 pieces and divide between the buns. 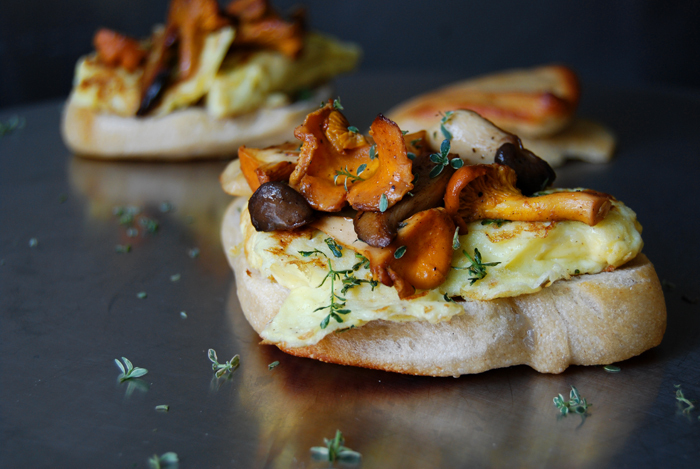 Put the mushrooms on top of the eggs, sprinkle with a few fresh leaves of thyme and close the buns.